The foodservice industry is one that is ever changing. 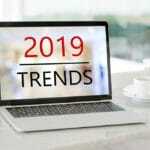 However, with new trends constantly appearing, and disappearing just as quickly, foodservice leaders are often left struggling to keep up with demands for newer, better, more interesting meals and mealtime experiences. Lucky for you, we have the insight you need to prepare for what lies ahead. 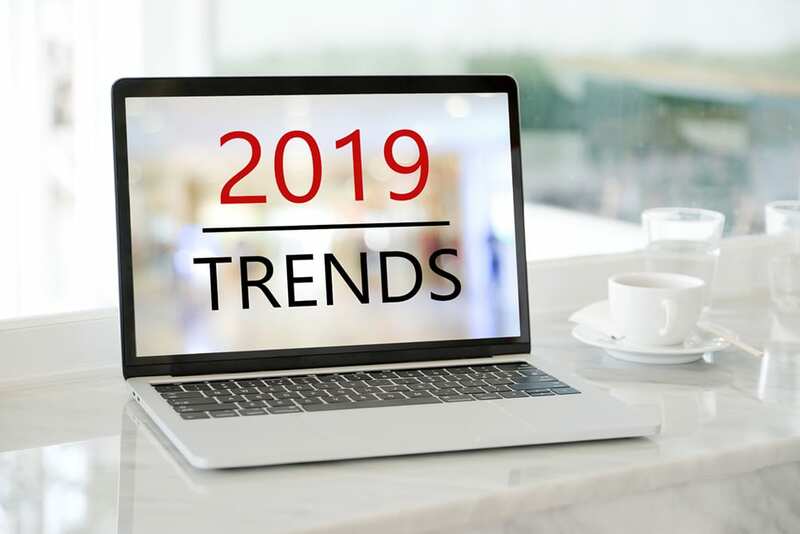 Below are seven particularly intriguing foodservice trends we foresee taking over in 2019. With an expanding interest in Middle Eastern cuisine seen in recent years, we can easily expect to see more Israeli, Lebanese, Syrian, and Turkish ingredients and recipes creeping into kitchen across America in 2019. For hospital foodservice leaders, this is extraordinarily exciting because it means having the opportunity to help patients gain a deeper understanding of the powerful health benefits of a Mediterranean diet, including warding off chronic illness and enhancing coronary health. If taken advantage of correctly by hospitals everywhere, these dramatic shifts in dietary preferences could very well even systematically reduce the excessive rate of cardiovascular problems throughout the country. With trends of organic eating, and avoiding GMO’s, making big waves over the last few years, it stands to reason that more people are making the effort to be acutely aware of what exactly they are putting into their bodies. We expect to see these behaviors continue into 2019, with a greater focus on “functional foods” being used to enhance overall health, even when there may not be any deficiencies or problems that need fixing. While this seems like it could be every healthcare professionals dream – patients keeping better watch over their brain function, mental health, and other essential bodily facets without prodding – it remains an important time to also educate patients on the importance of balance. After all, even too much water is bad for you! It can’t be avoided. Active online presence through social media is quickly becoming synonymous with success, which means meals today need to be just as aesthetically pleasing as they are healthy and delicious. To get them ready for their inevitable photo-ops and vlog cameos, many foodservice departments are already introducing audio and visual elements to their products to make them more appealing. From color-changing glitter drinks to desserts featuring popping candies, we definitely expect (and welcome) a surplus of innovative new approaches to foodservice through the coming years. For hospitals, this whimsical trend may not seem as important as others, but when you stop and consider the scientifically proven correlations between visually appealing foods and patient health and satisfaction, it’s hard not to smile. In a world where everything is about superior convenience, from streaming services casting shadows over movie theaters to newspapers and magazines losing to the Internet, adaptions to the way consumers interact with foodservice providers were bound to happen eventually. As we see third-party delivery services quickly making healthy, restaurant quality meals as accessible as fast food, we can expect more variations of this type of unique foodservice approach to arise in the coming years, including subscription based delivery services – the key, however, will be keeping up with incentives. For hospitals, this is a great time to move forward with various community-wide foodservice outreach programs. With sustainability becoming a far more significant concern, companies are adopting all kinds of ways to reduce their environmental impact. From imposing zero-waste policies and adopting bans on non eco-friendly waste, to incentivizing employees to refrain from meat consumption both on and off employment premises, it’s becoming more and more likely that we will see far less meat in our diets in the future. While this is bound to excite the many forthright vegetarians and vegans who have been pushing for global action over the years, healthcare professionals must take advantage of this trend by helping those are resistant to adopting a more plant-based diet successfully navigate this transitional period and find joy in a healthier plant-based lifestyle. Technology is, at this point, crucial to the very foundation of our society, and although it has allowed for numerous revolutionary breakthroughs across all industries, it has also brought with it a heightened need for instant gratification. Consequently, this equates to a future filled with technology in the foodservice industry. From drones delivering food to app-based checkout services, the need for “frictionless foodservice” is rapidly becoming necessary – and hospital foodservice departments are no exception. Companies like Vision Software, are already one step ahead and provide hospitals with innovative technologies to help streamline foodservice operations, enhance patient health and satisfaction, and keep up with all the latest foodservice trends. Everyone knows that product marketing is rarely ever honest. “Natural” products are hardly ever such, and marketing and packaging strategies are designed purely to sell – it’s why ingredient labels are always so small and inconveniently located. With increasing numbers of consumers demanding transparency, we expect to see companies jumping into action and prioritizing candid coverage of their products and environmental efforts as a more modern means of product marketing and corporate competition. With consumers already inquiring about “sourcing, food origins and growing and processing methods,” we anticipate an even greater demand for honesty regarding pricing and costs; corporate values pertaining specifically to fair trade, living wages, diversity, and executive compensation; and overall environmental impact including their actual animal welfare and conservation positions and initiatives. For hospitals, continuing to operate with total transparency will not only help you put your facility in a position to expand your connections within your community and strengthen your bonds with your patients, it will also allow you to become the gold standard which all other foodservice companies must live up to in the minds of your patients. Learn more about how our foodservice software, and other remarkable technologies at Vision Software can help you enhance your productivity, save you money, improve your patient care, and stay prepared for all future foodservice trends, reach out to one of our insightful software specialists today. Call 629.777.8989, or fill in the free consultation form in the sidebar, to learn more about how our software can positively impact the lives of the patients and visitors you service every day.